Rambles from my makeup box. : The Body shop - Tea Tree range. Did I mention that I am a bit of The body shop fan? 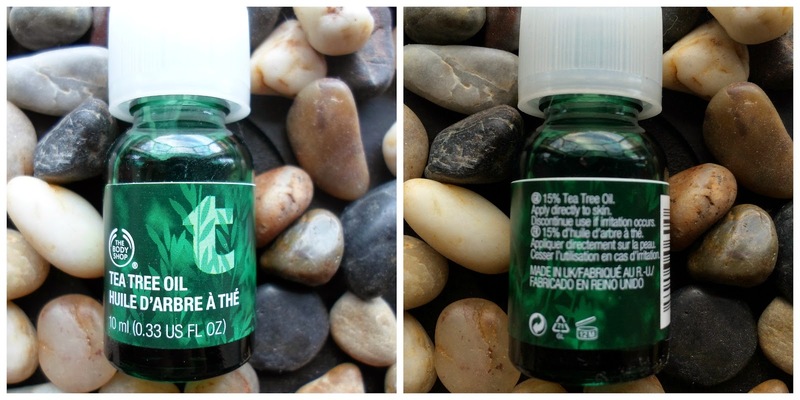 Well I am and here is a review of some of their Tea Tree collection for blemished skin which I could not live without. First up is their Tea Tree face mask. I use this face mask twice a week and my skin feels and looks much clearer and cleaner straight after use. You can really feel this face mask working when you apply it as it cools down your face instantly. To use you should apply a generous amount all over the face and leave on for 10 to 15 minutes. (During this time I like to have a nice relaxing lay down with cucumbers over my eyes, I just have to be careful not to fall asleep!) This is a non drying face mask so once the 10 minutes is up it will still look like you've just applied, and all you have to do is wash it off with warm water. I love this product and could not live without it, as it really does reduce the amount of oil on my face and helps my blemishes clear up. It is £10 for a 100ml tub and I would say that it lasts for a good six months before I have to repurchase. The next product is their Tea Tree pore minimiser which is a type of primer that helps minimise pores and absorb excess oil. I use this everyday before applying my foundation, as it really helps to absorb all the excess oil on my face throughout the day leaving it nice and matte. Like all the Tea Tree products when first applying it instantly cools and refreshed my face, which is nice especially during the hotter months. Also when first applying it does have a slight greenish tint to it, but when rubbed in it goes transparent. The only downside to this product is that I feel like you need to wait a few minutes to allow this product to dry before applying makeup, but it's only for about 2/3 minutes so it's not too much to worry about. This primer is £7.50, which I think is really good value as a little goes a long way with this product. 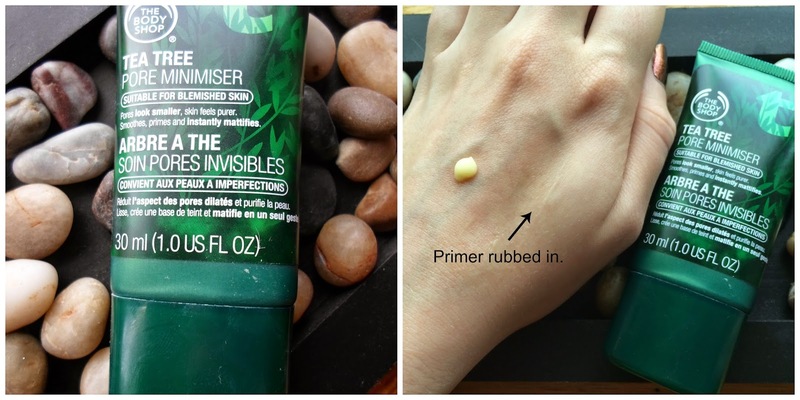 The Body shops Tea Tree skin clearing lotion is the first product that I bought from the range and it is a product that I could not live without! I use this usually three times a day, first when I wake up in the morning as this is when my face is most oily, second after I have washed and about to apply my makeup and then lastly before bed after cleansing. To use this product you simply have to shake the bottle to activate it as a green solid forms at the bottom, once activated you apply to a cotton pad and wipe all over the face and neck. It really does help get rid of the dirt that builds up on your face that cleansing missed and I have noticed my skin is a lot clearer since using it. This toner is a great price at £5. The last product I own from this range is their Tea Tree oil which has antibacterial properties that helps kill the germ and dirt that form spots. I apply this before going to bed to help my skin look clearer in the morning. It is a very simple product to use as you can apply it directly to your skin. The only downside I have with this product is that it is a small bottle (only 10ml) and doesn't last me very long. But this is because I usually have to apply it to most of my face almost every night as I do have very blemished/oily skin, so I'm not sure if this is worth the money for me. © Rambles from my makeup box. : The Body shop - Tea Tree range.